McAllen police released this photo of a woman wanted for questioning in a wallet theft case. Police are searching for a woman suspected of stealing a wallet earlier this month at a business in McAllen. 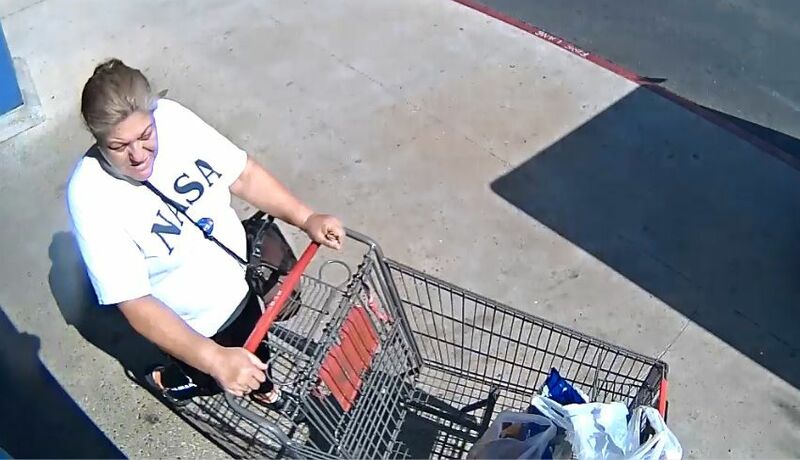 The unidentified woman was wearing a white NASA T-shirt and appears to be Hispanic, according to the McAllen Police Department. She was caught on surveillance cameras stealing a wallet at a business in the 900 block of West Trenton Road on June 7. The investigation is ongoing but police ask that anyone with information call the McAllen Crime Stoppers at (956) 687-TIPS (8477).